Before the five days ODI series between India and England started, there was a lot of speculations surrounding KL Rahul’s inclusion in the playing squad. 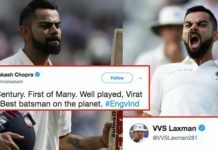 However, skipper Virat Kohli and the management of Indian cricket team took a bold decision by not taking Cheteshwar Pujara in the playing XI squad. 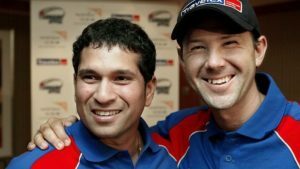 He was replace by the young IPL sensation, KL Rahul. KL Rahul, who had impressed one and all with his amazing performances in the season 11 of Indian Premiere League, failed to leave a mark in the ongoing India vs England test series. The second day of the ODI test series between India and England, started with a bad note for Indian cricket team as Sam Curran went on to take 3 wickets in a span of just 8 balls. 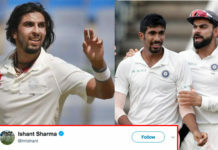 After Sam Curran dismissed, the opening batsman, Murali Vijay, KL Rahul came in to bat. 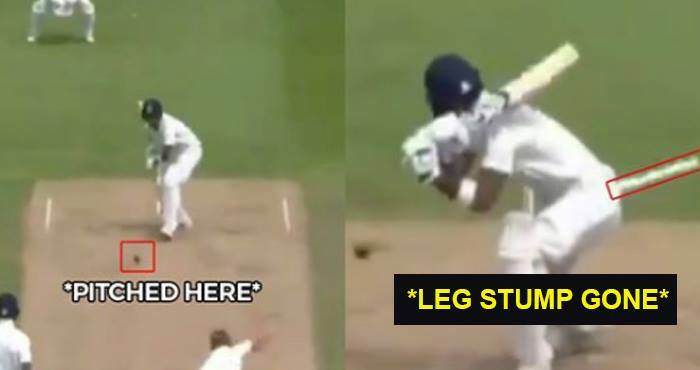 KL Rahul walked in with confidence to carry on with the good job done by the openers, however, failed miserably as he was bowled out by Sam Curran. He could only play a few balls before he was dismissed by Sam Curran. The 20-year old bowler of England was on fire today. Curran dished out a full-length delivery, which was mistook by KL Rahul as we was not able to nail the stroke by any stretch of the imagination. 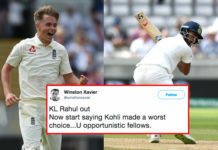 KL Rahul is taking things for granted with such incredibly stupid shots that too so early….and this is not the first time…..
Now start saying Kohli made a worst choice…U opportunistic fellows. KL Rahul is out for 4. What an over, game on. 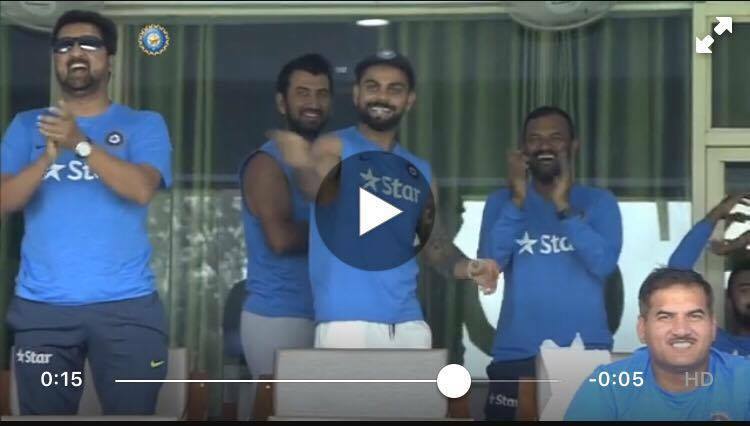 @imVkohli yr decision to play #KLRahul instead of #CPujara is going to cost India, match will be lost.